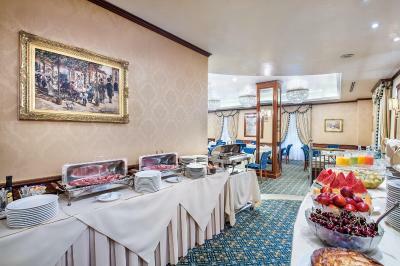 Lock in a great price for Hotel Internazionale – rated 8.6 by recent guests! Generally reliable and good. 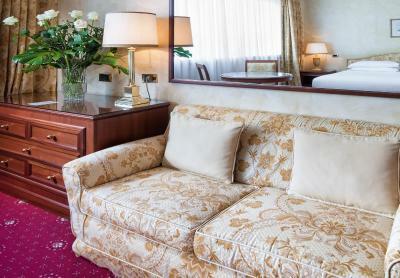 Wonderful room cleaners, very kind helpful and friendly. 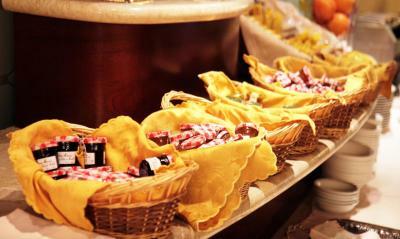 Please Open entire breakfast area every day as staff busy in key buffet areas and the quiet space is good. Vary breakfast we come for a week and possibly more and its repetitive. The style of the furnishing, the size of the rooms, the breakfast, the politeness of the staff, the fact that everything was super clean. The breakfast but not the croissant, we stayed for 5 days and everyday the croissant is burnt. 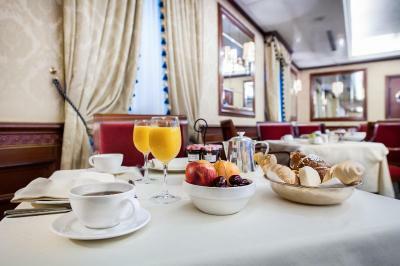 Excellent location, great breakfast and staff very kind. Room was perfect in size and clean, bathroom good too. Was a perfect location and choice for days I spend there. 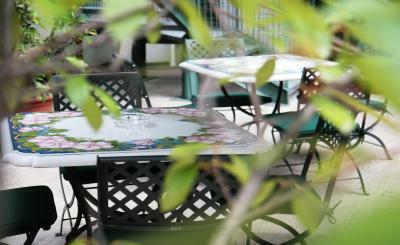 Great location, close to the train station and the center of the city. The staff was very helpful. Would stay there again. The location was great. Breakfast was good. Staff professional. Although they could have been more courteous. The hotel is in a good location. 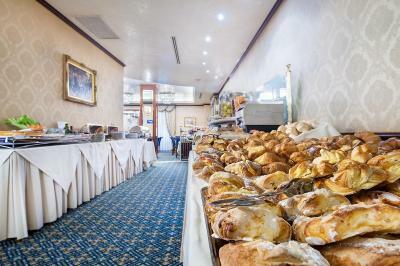 There was a a good breakfast buffet also. Absolutely fantastic breakfast! The best I have ever had in Italy. Great location, large rooms with big bed and big bathroom. Clean and well taken care of, wonderful staff. Hotel Internazionale This rating is a reflection of how the property compares to the industry standard when it comes to price, facilities and services available. It's based on a self-evaluation by the property. Use this rating to help choose your stay! 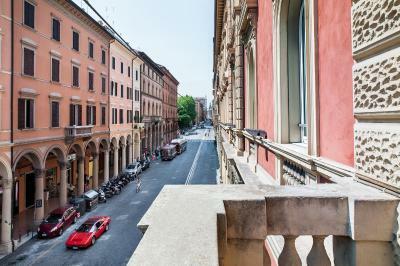 One of our top picks in Bologna.The Internazionale is an elegant, historic building located in the historic center, just an 8-minute walk from Bologna Centrale Train Station. 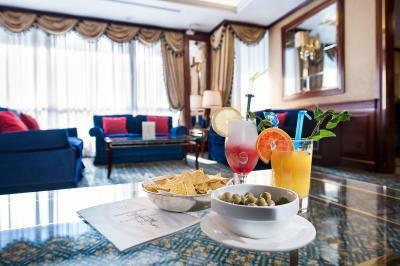 The spacious rooms include air conditioning and a flat-screen TV. 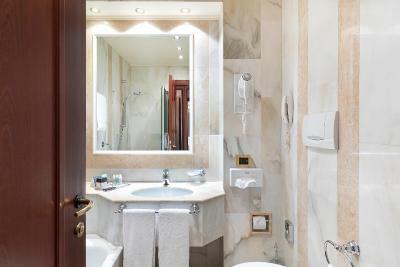 Hotel Internazionale's rooms feature a private bathroom equipped with hairdryer and toiletry set. You have free access to the Royal Hotel Carlton fitness center, 1,300 feet away. A spa is also available at the partner hotel at an extra charge. 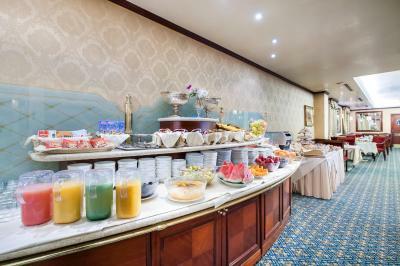 An extensive breakfast buffet is served daily in the dining room. 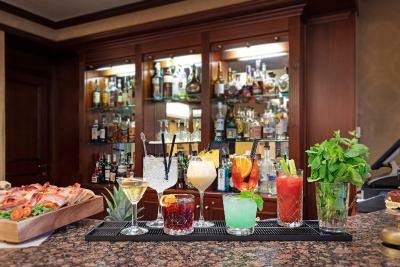 The hotel bar is open for drinks and snacks throughout the day. 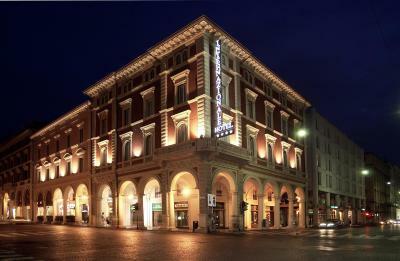 Piazza Maggiore is 1,950 feet from the hotel. Buses to Bologna Airport leave from in front of the station. 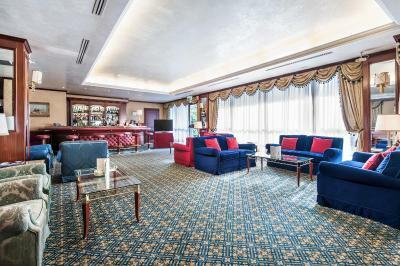 The A14 Motorway is 2.2 mi away, and the Internazionale features a garage, available at extra charge. 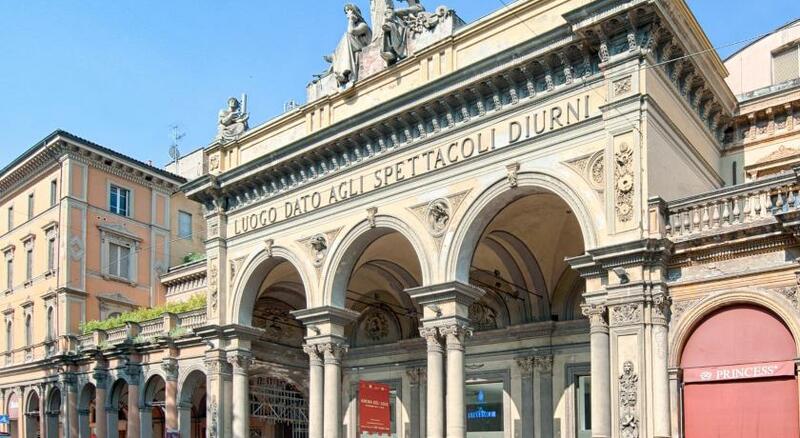 During some major events, the Internazionale can provide a free shuttle service to the Fiera di Bologna Exhibition Center on request. 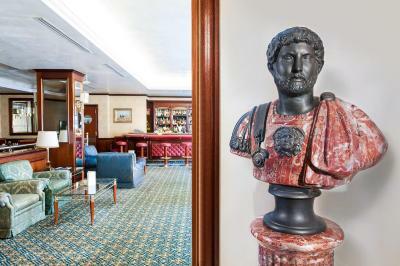 When would you like to stay at Hotel Internazionale? 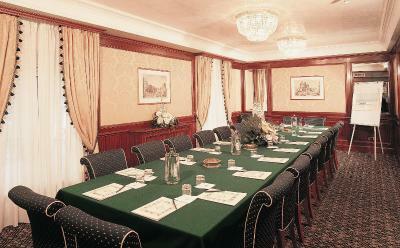 Private room with air-conditioning and flat-screen TV.. Bed type options are subject to availability, but please specify preference when booking. 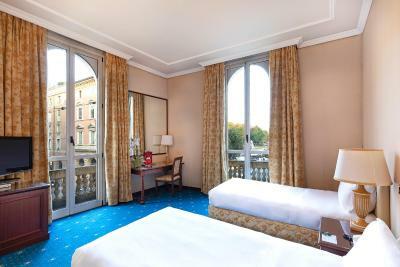 A very spacious room with air conditioning and a 37" flat-screen TV. 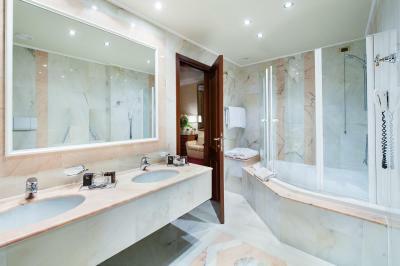 The private bathroom is complete with large bath and bathrobes. This room has a private bathroom, air conditioning and a flat-screen TV. Historical building at walking distance from railway station and major points of interest. 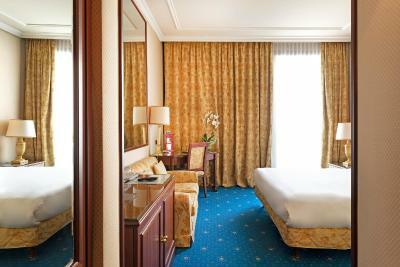 116 elegant Classic and Deluxe rooms with marble bathrooms. 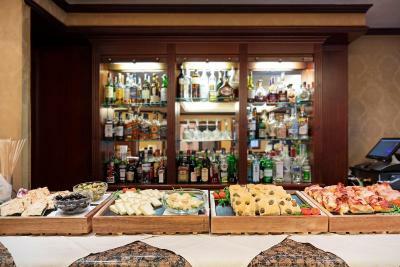 Breakfast Buffet offering a wide selection of the best products, American bar and garage. 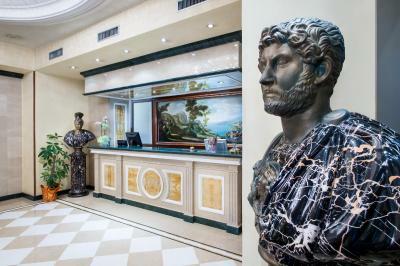 House Rules Hotel Internazionale takes special requests – add in the next step! 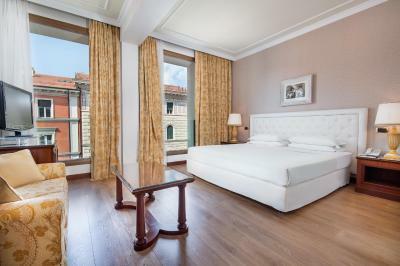 One adult is charged EUR 30 per night in an extra bed. Hotel Internazionale accepts these cards and reserves the right to temporarily hold an amount prior to arrival. The free shuttle to the Exhibition Center is only available during: Cosmoprof, Lineapelle, Fiera del Libro, Autopromotec, Cersaie and Eima. Please note that the full amount of the reservation is due on arrival. The room was a bit too warm for us however we could not turn the a/c to cool since we were told it was not working. Location was excellent. Right in the centre and although we had our room overlooking the main road, it still wasn't noisy. There was a good choice for breakfast and the staff were so helpful. 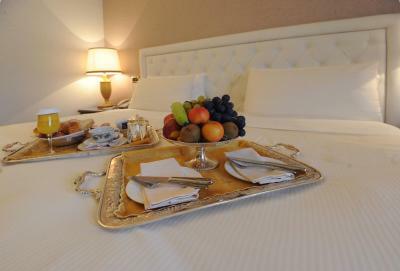 Nice breakfast,nice room with great bed and Sky tv. Water pressure for shower was poor in our room 319. Nice breakfast and location was great. 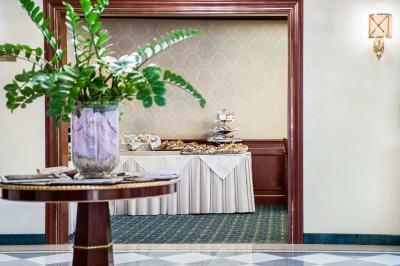 As always with Italian hotels the heating is on whether it is warm or cold during the winter. It was 25 degrees in the room and the air conditioning was off for the winter! 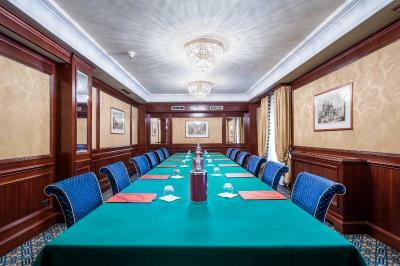 Excellent central location and near train station. Good breakfast and really helpful and friendly staff. See above, won’t stay there ever again! it was a double room and there was no space for two persons to inhabit it let alone open a suitcase! The bathroom was so tiny it was difficult to sit on the toilette. Staff was unwelcoming at first. Service staff at breakfast hall was very rude. It was a very unfortunate choice. I was very disappointed with the changes in the American bar. It used to be more cosy and inviting being able to have some finger food available with your drink. Rooms and bathrooms are very dated. Breakfast was not bad, although could really improve. Best of the hotel is the situation. South facing room was 26 degrees C when we arrived and aircon was not working due to it being March. It had cooled down by the night time with the windows open so did not turn out to be a big problem. 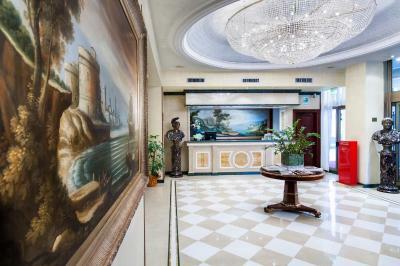 A bit of faded grandeur but excellent location right on the main shopping street and close to all the attractions. Quiet considering the busy location. Very good breakfast with hot and cold options and you can pay extra for all types of egg combinations other than the standard scrambled. Soya milk option for the cappucini too.